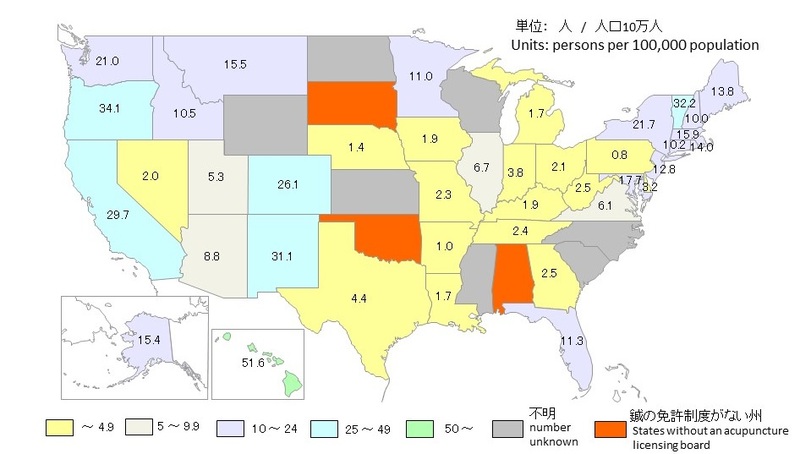 Comparison between Japan and U.S.
*: 取得には医師免許が必要　A person licensed as a medical doctor to practice acupuncture. Despite the same type, there can be significant differences in licensure requirements from state to state. The number of licencees was quoted from the data provided in Table 3-1. 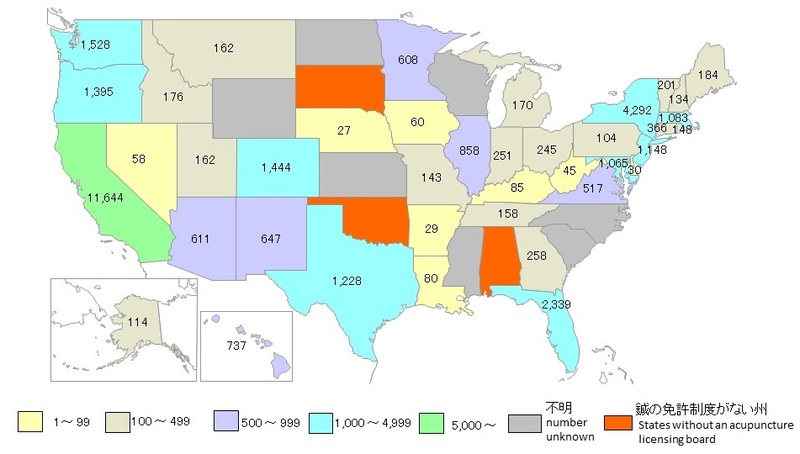 As of the end of May 2017, there are three states without a licensing system for acupuncture.